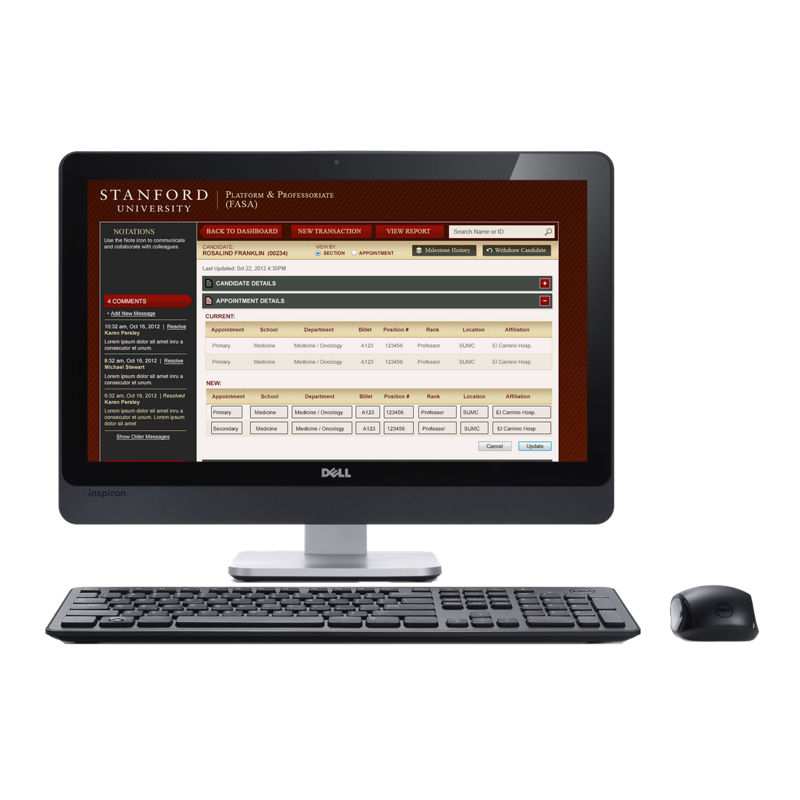 The Faculty Academic Staff Appointments System (FASA) at Stanford University provides a way for university employees to manage their appointments. Originally a tedious, paper-based system, this project focused on moving the process to the web. The assignment was to create a seamless workflow via an online form. The solution not only created a simplified approval process but gave users an effective way to collaborate on the forms required for appointment. Our design team consisted of myself, another IA and a lead Interaction Designer. We conducted remote user interviews and demos with Stanford to verify requirements and followed a rapid, iterative prototyping process. After sketching and whiteboarding, we created detailed wireframes using Axure.